The Dog Days of Summer are fast approaching. It is a time for both you and your pets to enjoy the sunshine and freedom of the great outdoors. We all love this time of year, especially taking our best friends out for a drive or visit to the local park. While taking advantage of this time of year we also need to remember some basic safety tips to ensure a tail wagging good time. Be careful of Insecticides, Fertilizers and Poisonous Plants. Now is the time of year when people fertilize their lawns and gardens and treat the ground for insects. 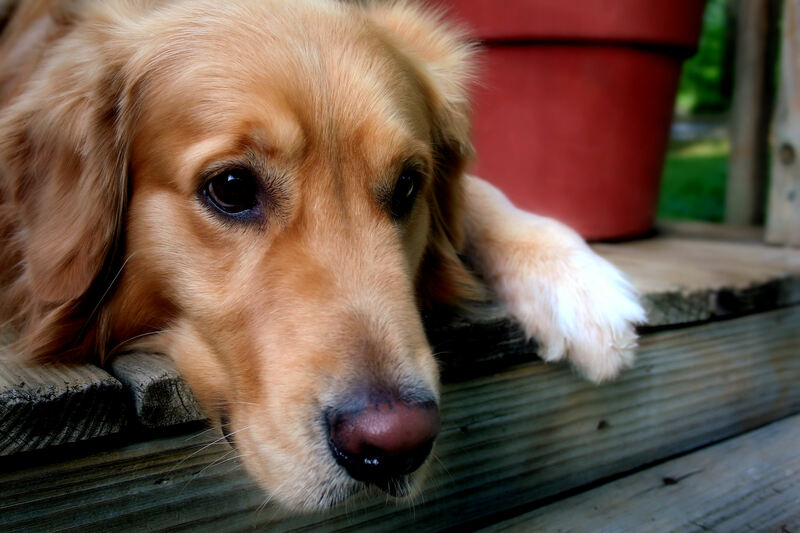 Plant food, fertilizer, and insecticides can be fatal if your pet ingests them. Additionally any spray on products can be absorbed by contact. There are more than 700 plants that produce toxic substances in sufficient amounts to have harmful effects on your loved ones. If you plan to vacation with your pet this year, take the time to prepare ahead. Be sure to carry plenty water with you. Make sure you have all the documentation on your pets. Your pets should always wear collars with identification tags. If your pet becomes lost an ID tag may very well be their only way home. Making a passport with your pets picture, tag and rabies numbers can be of a great value should the unthinkable happen. Also consider having your pet chipped by your Veterinarian. It is affordable and can be a life saver. Pets and pools or bodies of water do not always mix. Prevent free access to pools, lakes or ponds and always supervise a pet when around water. Provide plenty of water and shade at all times. Even though they’re enjoying the great outdoors they will need to stay well hydrated and cool. In nice weather people become inclined to take their pets on errands or short outings. The inside of your car can reach 120 degrees in a matter of minutes, even if you’re parked in the shade. This can mean real trouble for your beloved animals left in the car. Even on relatively mild days the heat can become unbearable to a pet. Pets who are left in hot cars, even briefly, can suffer from heat exhaustion, heat stroke, brain damage, and can even die. People and their pets are spending more time outside in the summer months. Pay attention to dogs or other people approaching and take control of your pet. If your pet us unruly you may consider training to teach your pet how to behave. Spaying or neutering your pet reduces the likelihood that he will bite and provides many other health benefits. Check with your veterinarian to see if your pets should be taking heart worm prevention medication. In most parts of the country your pets can be exposed to mosquitoes which carry this fatal disease. Fleas and ticks are another area to be addressed. Use flea and tick treatments carefully as they can be hazardous to you and your pet. Even in the summertime your pets need exercise. Just take care with heavy coated breeds, short snout breads. Light skinned breeds can burn as well. Do not stay on asphalt for extended periods of time as it can actually burn you pets paws. You should be aware of the signs of heat stress, which could include heavy panting, glazed eyes, a rapid pulse, unsteadiness, a staggering gait, vomiting, or a deep red or purple tongue. If your pet does become overheated, you need to immediately lower his body temperature. Move your pet into the shade and apply cool (not cold) water over his body to gradually lower his body temperature. Apply cold towels or ice packs to your pet’s head, neck, and chest only. Let your pet drink small amounts of water or lick ice cubes. Most importantly, get him to a veterinarian immediately. Don’t take your pets to crowded summer events such as concerts, fairs or fireworks shows. Combined with the heat the stress factor of the large crowd could cause your pets to overheat more rapidly. Firework shows are a no no for a pet who could become frightened by the noise and the crowd and actually hurt themselves or someone else. Play it safe this summer and enjoy time spent with your pets. They enjoy the outdoors and the freedom but it is the time with you I think they cherish most.